The SKI MATIC 2.0 binding solves the problem of fitting modern ski boots where the rear “walking adjustment” on the boots interferes with the closure of the crampon. The innovative and low-profile tow lever bail locks solidly in place. 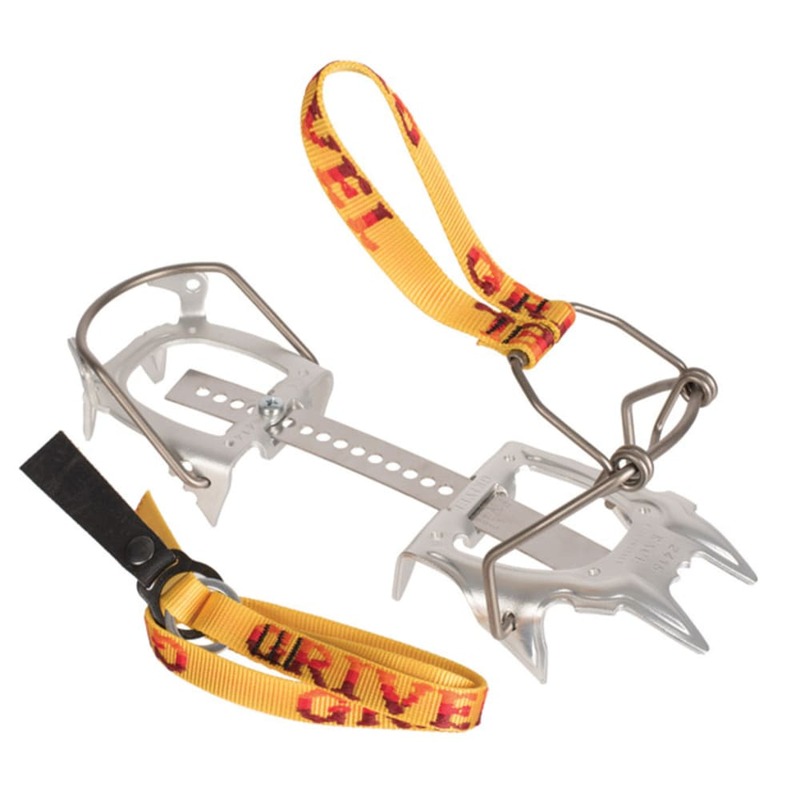 The ultralight Ski Race crampon has alloy front points and alloy heel. Includes crampon storage bag.